The increasing global scarcity of raw materials, the demands of higher energy efficiency, and the increasing demand for customer-specific products, increasingly require higher efficiency and more flexibility of production. The related optimization of plants and production processes is based on information about processes and equipment conditions. Essential prerequisite for obtaining this information is a system-wide exchange of production and plant data. In order to set up such a data exchange for distributed control systems, plant asset management as well as analysis applications for production and business management – the sensors, devices, control systems and production facilities must be seamlessly networked horizontally and vertically. The transfer of data beyond the pure process value and their integration into superordinate systems, also at the IT level, require digital communication based on interoperable standards. Softing’s experts contributed substantially to the specification of e.g. PROFIBUS and Foundation Fieldbus. 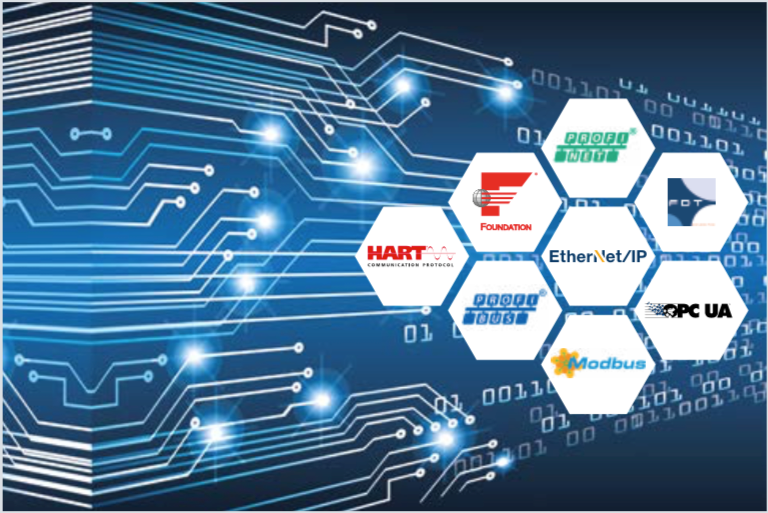 Even today, Softing is actively involved in the technical workgroups of the Fieldcomm Group, the PROFIBUS & PROFINET International and the OPC Foundation in order to be close to technological developments and to help shape them. On the basis of this technological know-how and the competence for Ex-capable hardware Softing offers solutions for embedding digital communications technologies. In this area Softing is a strategic partner to international equipment and system manufacturers. To system integrators and plant operators Softing offers products for the integration and configuration of devices and networks.